Bob is the Founder of Ambassador Advisors, LLC, and a 40-year veteran of the financial services business. From 1976 to 1990, Bob managed sales offices for two major financial service firms in Pennsylvania, Florida and Georgia. Then in 1990, he established his own Registered Investment Advisor. Bob enjoys gardening, where he can be outdoors and enjoy the creation and sunshine provided for us. In the winter, he coaches high school basketball. Bob and his wife, Pam, live in Mount Joy. They have eight children and two grandchildren. Bob’s greatest joy is in supporting and teaching his children – whether its Rebecca who plays field hockey at Utica College, Elizabeth who competes on her horse and studies law at Elizabethtown College, or Sarah who plays soccer and volleyball. Bob cheers on Pennsylvania football teams – the PSU Lions and Steelers. He even played on an undefeated team in high school at Central High in Martinsburg, PA! In 1987 Bob began serving on the Board of Directors at Bethany Christian Services and Lancaster County Christian School. Eventually, he also began to serve as a Trustee at The Lancaster Bible College. His considerable work with nonprofits led him to focus on that area as a specialty for financial advice and support. Bob has earned the CERTIFIED FINANCIAL PLANNER (CFP™) designation, as well as the Chartered Financial Consultant (ChFC®), and the Chartered Advisor in Philanthropy (CAP®) designations. He is also a member of the International Association of Advisors in Philanthropy. 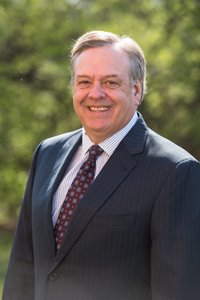 He is recognized as a leading professional in investment management and estate planning, and has trained and supervised hundreds of financial planners during his career. Bob’s favorite part of being an advisor is helping to solve problems for the people that he works with. While he enjoys the challenge of investing and the analytical side of the job, it is the time spent face to face with clients, trying to make their life better, that is by far the most enjoyable aspect of the business. At Ambassador Advisors, Bob is grateful for great co-workers, fantastic clients, and that his faith leads in his decision-making all along the way.